Work is a fundamental part of adult life for people with and without disabilities. It provides a sense of purpose, shaping who we are and how we fit into our community. as well as self-esteem and well-being. Arkansas Employment First embraces the philosophy that all working age adults and transition-age youth with significant disabilities can and should have opportunities to work in their communities in a competitive integrated setting where they can enjoy greater earnings, better benefits, improved health, and an enhanced quality of life. The Arkansas Employment First Leadership State Mentoring Program (EFSLMP) Team was formed to begin long-range planning to support a culture change where people with disabilities are recognized for the contributions and capabilities they have to offer. It includes the Department of Human Services’ Divisions of Aging and Adult Services (DAAS), Behavioral Health Services (DBHS), Services for the Blind (DBS), Medical Services (DMS), and Developmental Disabilities Services (DDS), the lead agency for the EFSLMP Team. Our partnering agencies include the Department of Workforce Services (DWS), Department of Education Arkansas Transition Unit (DOE), University of Arkansas Promise Grant, and Arkansas Rehabilitation Services (ARS). About Us"It's The Possibility of Having a Dream Come True, That Makes Life Interesting." Governor Asa Hutchinson considers employment for Arkansans with disabilities a priority, which reflects the growing support for the national movement called Employment First. Arkansas' path to Employment First began October 21, 2010, when the Employment First Executive Order (EO 10-17) was issued directing state agencies to coordinate efforts to increase employment of Arkansans with disabilities. The Arkansas Department of Human Services (DHS) was charged to create a task force, which included representation and input from agencies administering disability services, vocational rehabilitation services, workforce services, education, as well as consumer advocates and disability service providers. In 2014, Arkansas was selected by the Office of Disability Employment Policy (ODEP) as a core state in their Employment First State Leadership Mentoring Program. With ODEP’s assistance, the Arkansas Employment First Core Team was formed to guide state agencies in their planning, decision making, implementation, and evaluation of services supporting Arkansans with disabilities to make employment the first and preferred option. 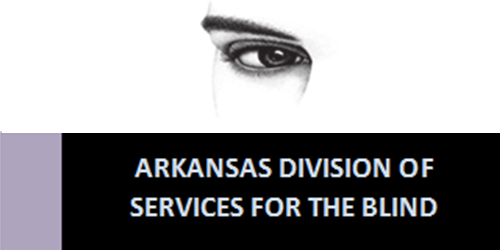 The Arkansas Employment First Team includes the Divisions of Aging and Adult Services (DAAS), Behavioral Health (DBH), Services for the Blind (DBS), Medical Services (DMS), and Developmental Disabilities Services. Our partnering agencies include the Department of Workforce Services (DWS), Department of Education through both the Promise Grant, Arkansas Transition Services (DOE), and Arkansas Rehabilitation Services (ARS). DDS serves as lead agency for the Department of Human Services Divisions for the Arkansas Employment First Leadership State Mentoring Program (EFSLMP) Team. The Employment First State Leadership Mentoring Program-(EFSLMP) is an initiative through the Department of Labor Office of Disability Employment Policy. Arkansas first participated in this initiative through the Vision Quest series in 2013. The goal of this endeavor was to challenge the system change by presenting real options to support individuals to fully participate in community integrated employment. The focus of the EFSLMP is to provide mentorship to Arkansas and 46 other states through intensive technical assistance from national subject matter experts (SMEs). Arkansas’ focus is on improving the state’s service provider networks, the funding methodology, and the incorporation of evidenced based best practices essential to service providers transitioning from a facility-based, segregated service to business models focusing on the provision of individualized competitive integrated employment. A clear statewide vision supporting transformational change to benefit working-age youth and adults with disabilities so they may participate in the workforce at levels similar to their peers who do not have disabilities. A guiding vision to increase public and business expectations about employing people with disabilities to work in the right job with the right level of support to utilize their abilities and full capacities. A policy framework to ensure Arkansas Employment First principles and informed choice guide present and future decisions related to people with disabilities who receive public services. Developed partnerships for state agencies to break down silos and tackle the complex cross-systems barriers, which continuously prevent people with disabilities from accessing the services needed to support and sustain competitive integrated employment. Developed processes allowing DDS and ARS to utilize sequential funding to better leverage resources and provide unduplicated services to people with significant disabilities to be outlined in a Memorandum of Agreement. Outlined methods state agencies can utilize to realign funding to provide more resources towards community integrated employment options through person-centered planning. As part of this realignment, a new rate and reimbursement structure was developed utilizing evidence based outcome payments. Launched, in 2015, a second transformation pilot project where 13 additional providers received the same SME technical assistance as the first pilot, but in a group training setting. Subject matter experts are providing intensive onsite and virtual technical assistance to 17 service providers. The 2016 goal is to expand the number of service providers participating in the transformation pilot. Three hundred sixty-six individuals with significant disabilities are benefiting from the implementation of the pilot through the opportunity to engage in evidenced best practices for competitive integrated employment as their preferred outcome in fiscal year 2017. A database collection system to track employment outcomes is being developed through a partnership with the University of Arkansas at Little Rock (UALR) to capture the number of individuals employed, hours worked, wages earned, and duration of job placement. The data will allow the team to develop data-driven policy decisions about employment services in Arkansas. Pays at least minimum wage, but not less than the customary wage and level of benefits paid by the employer for the same or similar work performed by workers without a disability. This policy increases options and choices for people with disabilities by aligning policies, funding practices and collaborative efforts among state agencies. This will help people who choose to work to enter an integrated, competitive workforce or become self-employed. Can be competitively employed or self-employed, earning at least the minimum wage and benefits. Should be fully integrated physically, functionally and socially within the workplace. Integrated competitive employment is the first and preferred option and is considered an outcome of services and supports. Understanding how work affects public benefits and resources so work can be part of the plan without fear of losing essential benefits. Effective interagency coordination and quality assurance is demonstrated through the delivery of innovative employment, education, support services, and improved employment outcomes. Get a job, get married, buy a house, have children…the typical American Dream. For many of us, it happens without much effort. But, for people with developmental disabilities, like 21-year-old Josh Fleming, those goals aren’t always as easily attained. 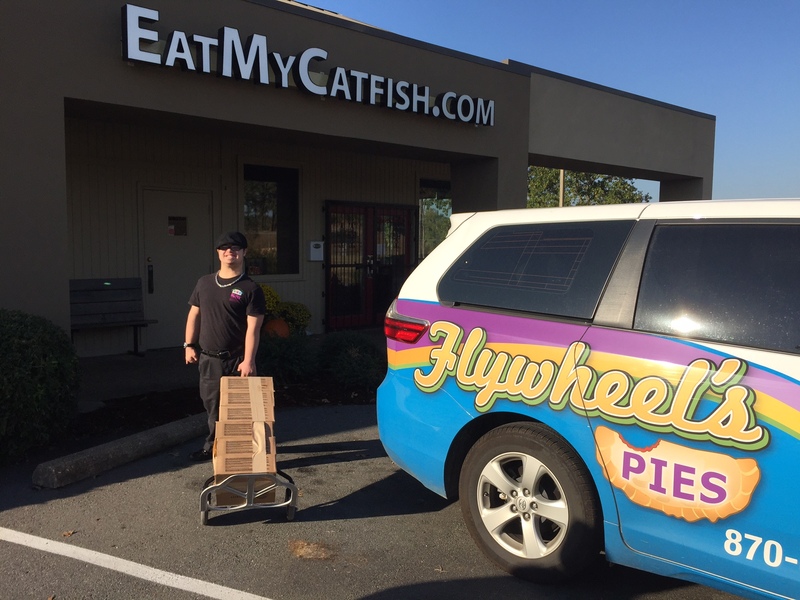 So, when the opportunity came up to become a pie seller and delivery assistant for Flywheel’s Pies, a Prescott based company that wholesales pies to restaurants and other businesses, Josh, who has Down syndrome, asked to be considered for the position. Josh definitely came “dressed for success” on the day of his interview. Although he said he was a little nervous, he and his new manager, Steven Hitt, quickly realized that a great match was about to be made. Steven offered Josh the job on the spot – and Josh accepted! Josh has been in his new position for a little more than a month. 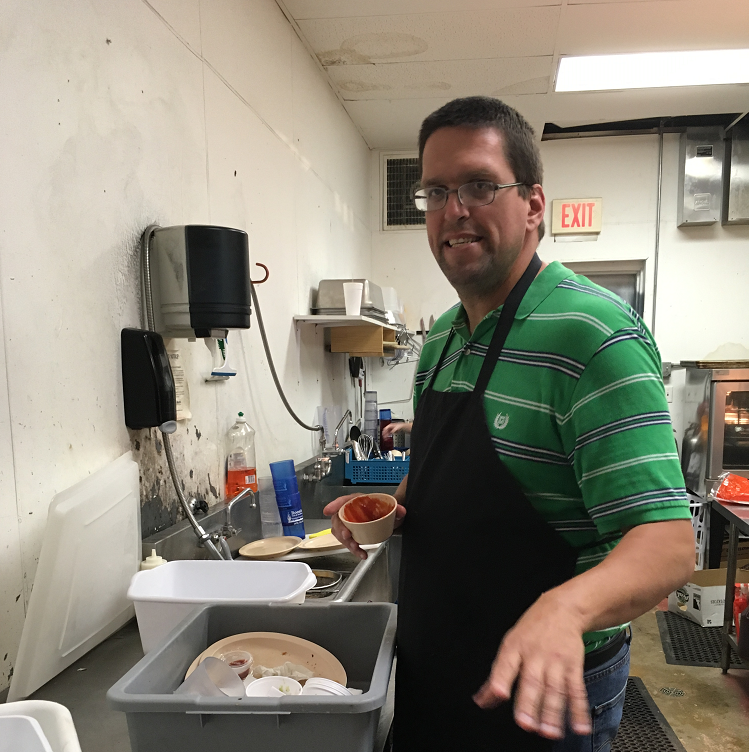 He works two days a week and is enjoying his job loading, unloading, and moving pies into his customers’ restaurants and businesses. He likes encouraging potential new customers to buy pies and talking with the customers he sees on his regular deliveries. He also shares with them how much he enjoys their restaurants and that he has eaten at each one of them. Josh intends to save all the money he is earning to help fulfill his dreams of someday getting married, buying a house and having children. And, because someone recognized his potential and gave him a job, he is off to a great start. Arkansas Rehabilitation Services (ARS), a division of the Department of Career Education, provides opportunities for Arkansans with disabilities to lead productive and independent lives through a variety of training, career preparation, and rehabilitation services. Arkansas Job link is a free job match and workplace information service for job seekers offered through the Workforce Network of Arkansas. You can find information to help with your job search, with creating resumes, and with contacting employers. To find out more information, visit the Job link website at www.arjoblink.arkansas.gov. DHS Jobs Listed on arstatejobs.com. Career One Stop is sponsored by the U.S. Department of Labor. For more information about exploring careers, finding training, beginning a job search, and getting local help, visit www.careeronestop.org. 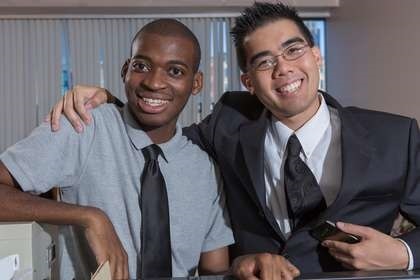 The Job Accommodation Network (JAN) provides free consulting services for individuals with physical or intellectual limitations that affects employment. Services include one-on-one consultation about job accommodation ideas, requesting and negotiating accommodations, and rights under the Americans with Disabilities Act (ADA) and related laws. Although JAN does not help individuals find employment, JAN does provide information for job seekers. For information, visit www.askjan.org. To learn more about ARS programs and services, please call 1-800-330-0632, or visit the website at www.ace.arkansas.gov/arRehabServices. The Job Accommodation Network (JAN) is a free service of the Office of Disability Employment Policy ,U.S. Department of Labor. JAN has two main focuses, identifying job accommodations and providing technical assistance on the employment provisions of the Americans with Disabilities Act (ADA). While not a job placement service, JAN receives questions from people with disabilities looking for work. To address the needs of JAN callers looking for employment, this employment guide was developed and provides a four-step process with information, tools, and resources that can be used to find the right job. Planning will create the best opportunity for your successful job search. As you begin the planning process, there are a couple of publications you may want to read. JAN has developed Dos and Don'ts of Looking for a Job and Strategies to Consider in Seeking Employment providing job seekers helpful hints to improve the chance of success. Below are brief section descriptions of JAN's Employment Guide, which are designed to assist with a step-by-step process for finding a job. Step 1: What kind of job is right for you? This section is designed to help you assess your knowledge, skills, and abilities while helping you understand where jobs are, how much specific jobs pay, and what jobs are expected to be in demand. In addition, this section contains information about who may train you for these jobs, inform you about working from home, and guide you in developing a small business. Step 2: Who can help you to find the right job? This section also lists on-line resources, such as general and disability-related job banks. Step 3: Are you prepared for a job interview? This section includes information about applying for a job, preparing for an interview, and completing an interview. It provides general information on building a resume, following-up after an interview, and addressing disability-specific questions during a job search. Step 4: You got the job. Now what? The final section includes strategies for success at your new job. Information is also provided on how to request a job accommodation and links to publications explaining accommodations for specific disabilities. In addition, this section includes information on career advancement and growth. 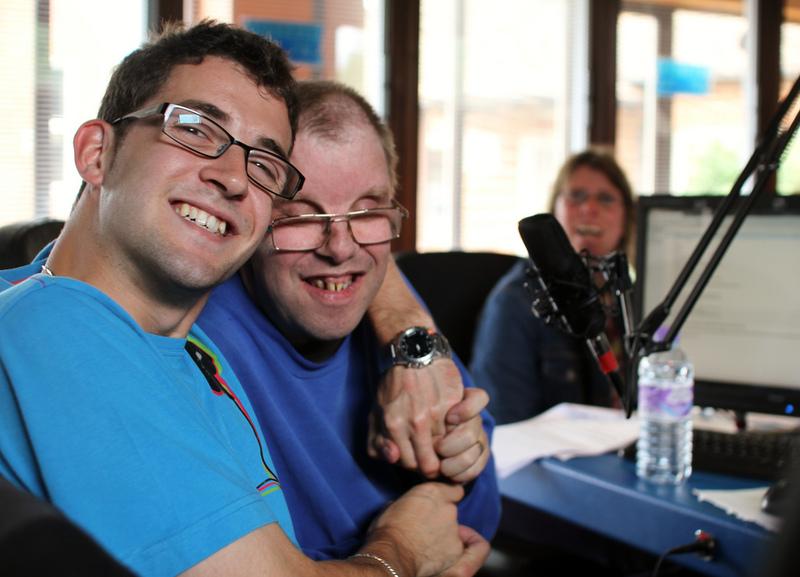 Families"You Start To Believe Anything Is Possible If You've Got Enough NERVE..."
Family involvement is important throughout the life of a family member with a disability. Families play a critical role in the success of individuals with disabilities in finding and maintaining community integrated jobs. Parents and siblings can play a valuable role in assisting their family member with a disability in building a strong portfolio of social capital that might enable them in their job search. Self-advocacy helps a person access the full benefits of citizenship, including economic self-sufficiency, independence, personal growth, and self-esteem. It includes understanding a person’s strengths and needs, identifying personal goals, and speaking up about needs, desires, and wishes. 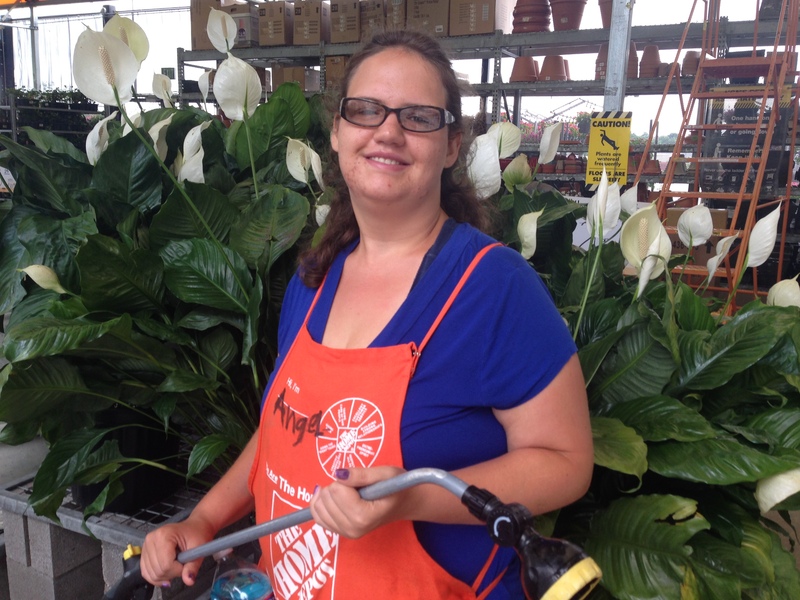 With the right support, employment is possible for people with disabilities who want to work. Project AWIN is Arkansas’ Work Incentives Planning and Assistance (WIPA) program. A WIPA Coordinator can meet with you individually to discuss how returning to work will impact your benefits. WIPA can help you understand the Social Security work incentives available under the Supplemental Security Income and Social Security Disability Insurance programs, so you can maximize your income and healthcare options to achieve greater financial self-sufficiency. Contact a WIPA Coordinator by calling 1-888-284-7521. The Workers with Disabilities Medicaid program gives individuals the opportunity to work, earn a good income, save for the future and have Medicaid health care benefits. For more information about Workers with Disabilities Medicaid, visit the website: www.workingdisabled-ar.org or call the choices in living resource center at 1-866-801-3435. The Social Security Administration offers a variety of employment supports to assist in your efforts to go to work. These supports can help you find a job or start a business, protect your cash and medical benefits while you work, save money to go to school, and help you begin receiving benefits again if your disability prevents you from continuing to work. For more information about what supports might be available to you, visit www.ssa.gov or call 1-800-772-1213 (TTY 1-800-325-0778). People with the most significant disabilities and their families often have many questions about how employment might work in their particular situation. The Department of Labor has a Customized Employment Question and Answer document that addresses many parent’s and guardian’s concerns about employment. FAQ for Individuals and Families Commonly Asked Questions from Individuals and Families. Answers provided by Employment First. Choose Work This Web site from the Social Security Administration helps Social Security beneficiaries and employment benefits. The United States Department of Labor, Office of Disability Employment Policy (“ODEP”) offers a variety of resources to help individuals with disabilities and their family members access the full range of support available to prepare them for successful transition into the integrated, competitive employment options that fits them best. Integrated Employment Toolkit for Youth The United States Department of Labor, Office of Disability Employment Policy (“ODEP”) offers a variety of resources to help individuals with disabilities and their family members access the full range of support available to prepare them for successful transition into the integrated, competitive employment options that fits them best. A Resource Guide for Individuals with Disabilities. Green Jobs A Resource Guide for Individuals with Disabilities. Employers"Instead of Thinking Inside The Box, Get Rid of The Box"
"Building strong partnerships with the local business community will expand the availability of community-based jobs for adults with intellectual and developmental disabilities." Employers are increasingly aware of the positive contribution people with disabilities can make to their businesses . . . and to their bottom line. Historically, individuals with intellectual and developmental disabilities (I/DD) have experienced much higher rates of unemployment than the general population. While this is still the case generally, employers are starting to see that individuals who experience disabilities are usually dedicated and hard-working employees who also contribute greatly to the productivity, culture and diversity of the workplace. 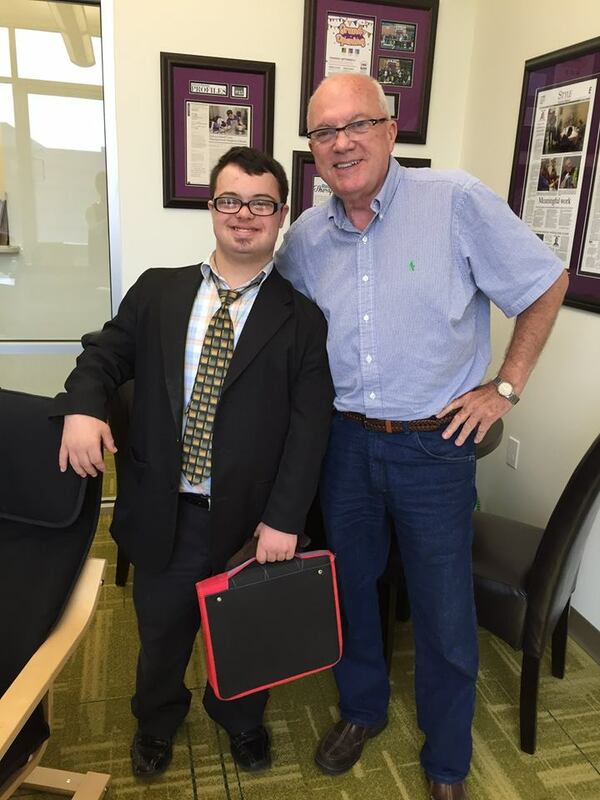 Communities embrace people who contribute, and employment of individuals with I/DD is a win/win for everybody. Integrated Employment Toolkit for Employers The United States Department of Labor, Office of Disability Employment Policy (“ODEP”) offers a variety of resources to help support the hiring of individuals with I/DD, including an “Integrated Employment Toolkit” for Employers. U.S. Small Business Administration The U.S. Small Business Administration has a variety of resources and information available to employers on Hiring People with Disabilities. As an employer, you can take advantage of various programs that encourage the recruitment and hiring of people with disabilities. This will also make you eligible for tax credits that help cover the cost of accommodations for employees with disabilities. Think Beyond the Label "Think Beyond the Label" is a public-private partnership that delivers information, outreach and resources to businesses, job seekers and the public workforce system to ensure greater recruiting and hiring opportunities for job candidates with disabilities. Five Myths and the Real Facts for Employers Myths surrounding hiring people with disabilities, and facts around these issues. 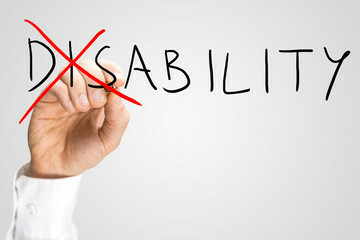 The Business Case Hiring a qualified person with a disability brings greater benefits beyond just filling an open job. There’s a solid business case, too. Best Practices for Finding Qualified Workers How can you get started hiring employees with disabilities? Here are some ideas. Office of Disability Employment Policy ODEP's mission is to develop and influence policies and practices that increase the number and quality of employment opportunities for people with disabilities. Employer Assistance and Resource Network (EARN) Resources to help employers recruit, hire, retain and advance individuals with disabilities. Building an Inclusive Workforce-Employer Site A Four-Step Reference Guide to Recruiting, Hiring, and Retaining Employees with Disabilities. Employers Guide to Reasonable Accommodations Employers’ Practical Guide to Reasonable Accommodation Under the Americans with Disabilities Act. good place to learn about private employers with a good track record of hiring and retaining people with disabilities in the United States Business Leadership Network (USBLN). This non-profit organization works to promote workplaces, as well as marketplaces and supply chains, that are inclusive of people with disabilities and serves as the collective voice for more than 60 state and local affiliates representing more than 5,000 businesses across the country. DOL does not directly provide such services. Rather, through its Office of Disability Employment Policy (ODEP), it works to influence national policy and promote effective workplace practices to ensure that today's workforce is inclusive of people with disabilities. In carrying out this mission, ODEP does work closely with the workforce development system funded by DOL's Employment and Training Administration (ETA) and delivered through the nationwide network of One-Stop Career Centers. These "One-Stops," located in communities across the U.S., do provide direct workforce services to employers, including those seeking qualified applicants with disabilities. To find your nearest One-Stop, visit America's Service Locator or call (toll-free) 1-877-US2-JOBS (1-877-872-5627) (Voice) or TTY. In addition, the Employer Assistance and Resource Network on Disability Inclusion (EARN), a free service funded by ODEP, offers a list of resources for employers wishing to recruit qualified applicants with disabilities. Yes, information about these tax incentives can be found on the Internal Revenue Service (IRS) website. The Job Accommodation Network (JAN), a free service funded by ODEP, also offers a fact sheet outlining these tax incentives. The Job Accommodation Network (JAN), funded by DOL's Office of Disability Employment Policy, is the leading source of free, expert and confidential guidance on workplace accommodations. JAN's website is AskJAN.org. Live phone service is also available 9 a.m. to 6 p.m. ET by calling (toll-free) 1-800-526-7234 (Voice) or 1-877-781-9403 (TTY). First, it is important to note that DOL does not administer Title I of the Americans with Disabilities Act (ADA). Rather, it is administered by the Equal Employment Opportunity Commission (EEOC). However, DOL's Office of Disability Employment Policy (ODEP) does provide several resources to assist employers in understanding their obligations under Title I of the ADA on its ADA website. The Employer Assistance and Resource Network on Disability Inclusion (EARN), a free service funded by ODEP, also offers information about the ADA on it's website or by calling 1-855-AskEARN (1-855-275-3276) (Voice/TTY). In addition, ODEP's Job Accommodation Network (JAN) offers individualized assistance with accommodations, a key aspect of the ADA's employment provisions. JAN's website is AskJAN.org. Live phone service is also available 9 a.m. to 6 p.m. ET by calling (toll-free) 1-800-526-7234 (Voice) or 1-877-781-9403 (TTY). Finally, DOL's interactive Disability Nondiscrimination Law Advisor helps employers determine which federal disability nondiscrimination laws, including but not limited to the ADA, apply to their business or organization and their obligations under them. Yes, ODEP and ODEP-sponsored initiatives offer a variety of materials that can be used for disability awareness training. For example, the ODEP-funded Campaign for Disability Employment (CDE) offers a variety of materials, including discussion guides and posters, on its website's outreach toolkits pages. The Employer Assistance and Resource Network on Disability Inclusion (EARN), a free service funded by ODEP, also offers a variety of such materials on its website or by calling 1-855-AskEARN (1-855-275-3276) (Voice/TTY). In addition, ODEP's Job Accommodation Network (JAN) offers a variety of training resources, including webcasts, podcasts and online training modules. JAN's website is AskJAN.org. Live phone service is also available 9 a.m. to 6 p.m. ET by calling (toll-free) 1-800-526-7234 (Voice) or 1-877-781-9403 (TTY). Also, for National Disability Employment Awareness Month (NDEAM) each October, ODEP publishes posters that can be ordered free of charge. The ten regional ADA National Network Centers are another good source for disability training materials and assistance. Two ODEP-funded services can greatly assist you in your efforts to create a work culture inclusive of people with disabilities, and best of all, they're free of charge! The Employer Assistance and Resource Network on Disability Inclusion (EARN) offers a variety of such materials on its website or by calling 1-855-AskEARN (1-855-275-3276) (Voice/TTY). The Job Accommodation Network (JAN) is the leading source of free, expert and confidential guidance on workplace accommodations and disability employment issues. JAN's website is AskJAN.org. Live phone service is also available 9 a.m. to 6 p.m. ET by calling (toll-free) 1-800-526-7234 (Voice) or 1-877-781-9403 (TTY). Another good source is Disability.gov, which is the federal government's central website for disability-related information. A good source for information about steps you can take to enhance your service to customers with disabilities is the Employer Assistance and Resource Network on Disability Inclusion (EARN), a free service funded by ODEP. EARN provides such information on its website or at 1-855-AskEARN (1-855-275-3276) (Voice/TTY). The U.S. Business Leadership Network (USBLN) can also assist companies in ensuring their market strategies include people with disabilities. The Employment First State Leadership Mentoring Program is an initiative from the Office of Disability Employment Policy (ODEP), a division of the Department of Labor. Arkansas first participated in the Employment First Leadership State Mentoring Program (EFSLMP) through the Vision Quest series in 2013. The goal of this endeavor was to challenge the system to change by presenting real options that support individuals to fully participate in competitive, integrated employment in the community. In FY 2014, Arkansas was selected as an EFLSMP Core state. Our goal is to create and expand competitive, integrated employment opportunities for all Arkansans with developmental disabilities. The Arkansas Employment First Team includes the Department of Human Services Divisions of Aging and Adult Services (DAAS), Behavioral Health Services (DBHS), Services for the Blind (DBS), Medical Services (DMS), and Developmental Disabilities Services along with the Department of Workforce Services (DWS), the Department of Education (DOE) through both the Promise Grant and Arkansas Transition Services, and Arkansas Rehabilitation Services (ARS). DDS serves as the lead agency for the Arkansas Employment First Leadership State Mentoring Program (EFSLMP) Core Team. In Arkansas, Employment First promotes rewarding integrated employment in the workforce as the first and preferred option for people with disabilities. EFSLMP envisions a time when every working age youth and adult with significant disabilities will have the opportunity to explore career options and seek jobs that fit their skills, interests, and talents. Arkansas Employment First is about raising expectations! EFSLMP partners are committed to continually improving our state’s systems for delivering employment services to Arkansans with significant disabilities. Our focus is based on the principles of informed choice, community based services, and competitive, integrated employment. Our current EFSLMP state efforts focus on transforming our state’s service provider network to increase provider capacity to deliver employment services in competitive, integrated employment settings. Using subject matter experts, our service provider networks are trained on vision and mission realignment, staff decentralization, financial restructuring and new funding methodologies. Service providers learn how to incorporate evidenced based best practices essential for transitioning from facility-based, segregated service to business models focusing on the provision of individualized competitive, integrated employment. Employment First is shifting expectations in Arkansas for a cultural transformation! Arkansas Employment First champions employment outcomes to enhance the lives of individuals with disabilities by creating greater opportunities for all people to use their strengths, interests, and talents to advance in their careers, to increase their economic wealth, to have a sense of personal accomplishment, and to create their own social identity. Employment First benefits Arkansas communities by providing more diversity and enrichment, by promoting equal opportunities, and by decreasing dependency on public funding. It also benefits employers by providing access to dependable and qualified employees. We launched a provider transformation pilot project in 2014 -with four service providers to assist with provider transformation efforts across the state of Arkansas. Each provider received one-on-one intensive onsite and virtual technical assistance from Subject Matter Expert’s (SME’s), which included completion of an initial SWOT assessment, recommendations for provider transformation efforts- and provider specific strategic employment plan and marketing strategies. This technical assistance transformed providers from facility to community base models. We launched our second provider ‘group’ transformation pilot of 13 additional providers in 2015. The group providers also received guidance and technical assistance to transform their services from facility based to community based services. This initial training was kicked off at the Arkansas Association of People Supporting Employment conference. During the conference providers were provided guidance in the development of strategies on how to better provider competitive, integrated employment options, to include person centered services and funding stream to support transformation efforts. This webinar explored various models and strategies in the self-employment process. The focus was on an individualized process that is both person-centered and attuned to the economic environment of local community. The program featured Russell Sickles and Brian Connaughton from Job Squad Incorporated, and Larry Batten of the US Small Business Administration. Access the web link to download the presentation materials and/or view the recorded archive. 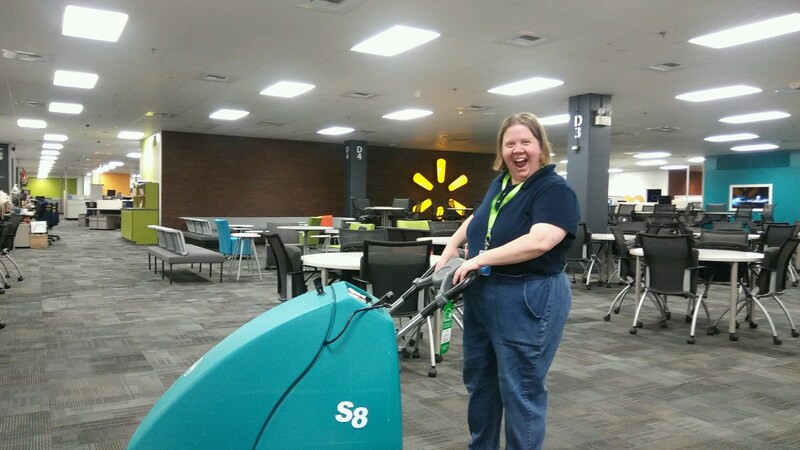 Alicia (pictured above) couldn't be more excited about her new job working in the Walmart Home Office. 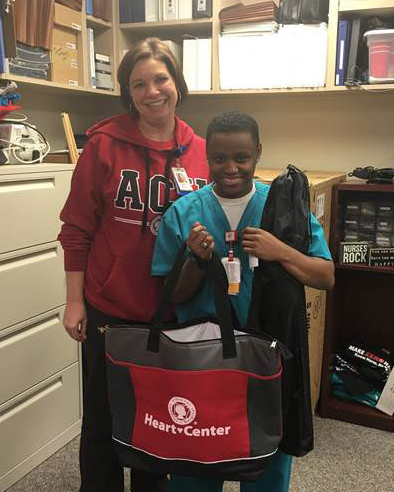 Her dream of achieving integrated employment became a reality thanks to the hard work of the Open Avenues Community Employment Programs (CEP) team. 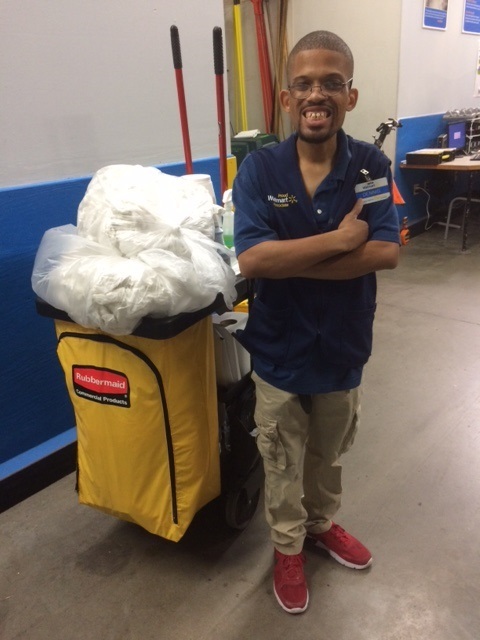 As our CEP team continues to focus on job placement services, you'll see more and more former Open Avenues clients working in our community. Resources"Every Day Is Full of Possibilities"
Arkansas Disability Coalition - a nonprofit 501(c)(3) organization established to promote and improve awareness, availability and accessibility of information that can help people with disabilities live, learn, love, work and play independently. Arkansas Disability Rights Center - (DRC) is a private non-profit agency with offices in Little Rock, Arkansas. Since 1977 the Governor of Arkansas has designated DRC the independent rights protection and advocacy system for persons with disabilities in Arkansas. DRC operates under authority outlined in Federal law and is funded primarily by the Federal government. Question #1: What is all the buzz about Arkansas Employment First? Answer: There are many compelling arguments for the state embracing Employment First principles, but none more important than enhancing the lives of the individuals we serve. 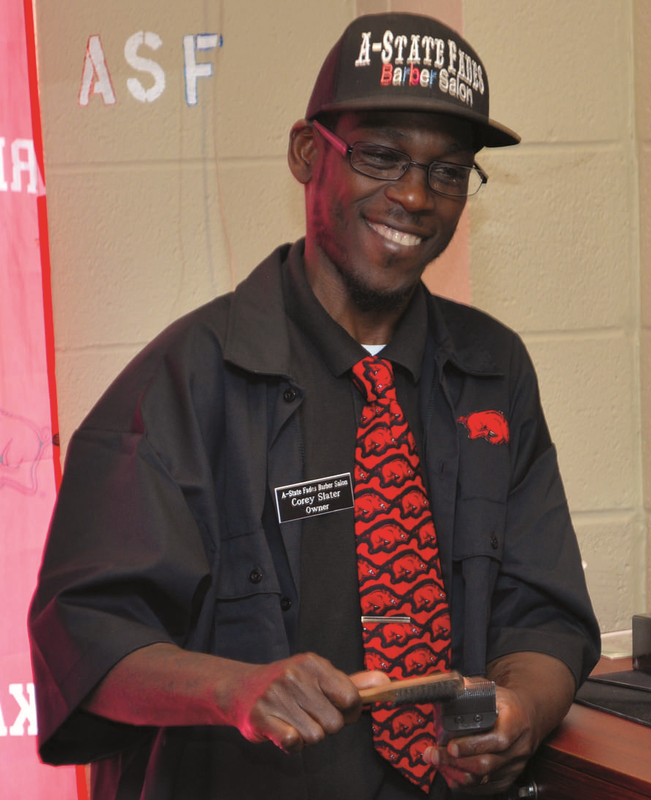 Arkansas became an Employment First Core State in 2012, which means that Arkansas adopted that “competitive employment in the general workforce is the first and preferred outcome for Arkansans with significant disabilities. This policy shift clearly aligns with Governor Hutchinson directive to state agencies to align policies and procedures to increase employment options for individuals with disabilities, and the national movement to assist job seekers toward improving employment outcomes. Question #2: Is the state closing sheltered workshops? Answer: No, Sheltered workshops may continue to exist after July 2015. In September 2011, the federal Centers for Medicare and Medicaid Services (CMS) issued guidance which stated that Medicaid waiver funding may not be used for vocational services delivered in facility based or sheltered work setting, where individuals are supervised for the primary purpose of producing goods or performing services. In addition, they clarified that prevocational services must be time limited, conform to specific requirements regarding clear employment goals, and may not consist of vocational services in sheltered workshops and similar settings. Question #3: I really do not want to leave my sheltered workshop and my friends are there at the workshop. I am safe and I will have friends if I go to work in the community? Answer: Starting something new and or leaving a familiar place where you have friends is often scary… but it also brings new opportunities to try out something different. Where you can meet new friends and try out new experiences. It does not mean that you will have to give up those old friendships. Question #4: What does Competitive, Integrated Employment mean? Answer: Competitive refers to wages that are at least minimum and ideally prevailing wages (not how person got the job) Integrated Employment refers to individualized work paid directly by employers, occurring in a typical work setting where the employee with a disability interacts or has the opportunity to interact continuously with co-workers without disabilities, has an opportunity for advancement and mobility, and is preferably engaged full time. Individualized - individual employment situations, not small groups (even if pay is competitive and setting is integrated). Question #5: How do I (or my child) compete for jobs against people without disabilities? Question #6: What is Competitive, Integrated Employment (CIE)? Answer: Competitive, Integrated Employment (CIE) is work performed by a person with disabilities within an integrated setting. Wages are paid at minimum wage or higher and at a rate comparable to their non-disabled coworkers performing the same tasks. Question #7: Does this mean that everyone has to work? Answer: No. Each person’s decision to work is personal. It should be an informed choice, based on accurate information and experiences. An informed choice means that individuals with disabilities should be able to explore employment as an option. Question #8: What is informed choice? Does not have his or his service options limited or denied. Question #9: What is Section 511? Answer: The Workforce Innovation and Opportunity Act (WIOA), enacted on July 22, 2014, established Section 511 requirements impacting services to students, youth, and individuals with disabilities, their family members, local school districts, Arkansas Rehabilitation Services (ARS) personnel, Community Rehabilitation Programs (CRPs), other service providers, consumer organizations and employers who hold 14© subminimum wage certificates. Question #10: Where can I find a copy of the WIOA, Section 511 and Regulations?